The theme for April and May 2011 is ‘Couples’. We will focus on Healthy Communication this week. Conflict is inevitable when you get into a relationship with a significant other. There are some couples I’ve worked with that tell me they’ve never had an argument. That scares me just as much as two individuals who want to kill each other. Both are extremes and neither are effective. I’ve facilitated groups for 12 years and every group I’ve had, clients tell me how difficult it is to walk through conflict. Often conflict makes us nervous. Many individuals haven’t witnessed healthy conflict resolution. Some come from abusive and domestically violent families and some come from families where there was very little disagreement. I believe you can master how to confront conflict in a healthy way that supports you and your partner. It would be helpful if both individuals in a couple would practice these skills. This isn’t always the case, so you might need to get started first and hopefully your partner will follow. If not, then I encourage you both to seek out couples therapy with a well trained therapist. 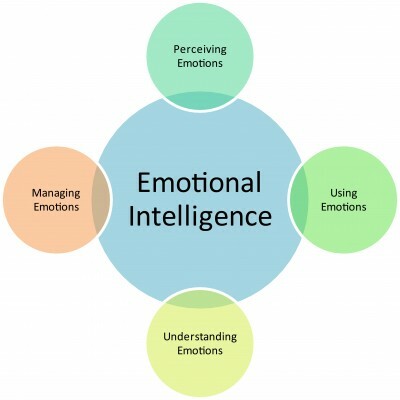 The first step to effective communication is managing emotions…yours. Managing emotions are difficult especially if you can easily go from 0 to 10. 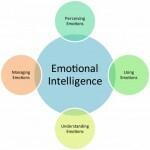 Many individuals don’t know they’re having emotions or they’re having difficulty reducing them. We can’t change anything we aren’t aware of. First step, become aware of your body and it’s physiological changes when you’re faced with conflict. Mindfulness is a skill to support you with being aware of what’s happening inside you. You will learn how to observe as if you’re a third observer. This allows you to get some space from your emotion rather than impulsively acting out, or push your feelings down deep inside you. Believe me, anything you stuff will come out at some point. Mindfulness is a practice of observing, then describing your internal experience. Just a warning, you will need to practice these skills prior to getting into an argument. I suggest practicing daily. There are many ways to practice. One way is sitting or lying down and following your breath. Breathe deeply and focus on the breath. You will notice your thoughts might wander or you may be distracted by your five senses. Don’t try to push these experiences away, just notice them without judging them. Just notice. Don’t try to clear your mind or any of that. Just follow the breath and practice just watching without attaching to any internal or external stimuli. If you notice you’re attaching to your thoughts or senses, just notice that. Try this for 5 minutes a day. This practice will help you become aware when you are over stimulated during a conflict. Being overstimulated during an argument will most likely cause you to do and say things you may regret later. Time-outs are very important to practice. – Excuse yourself from the argument. Tell your partner you need a time-out and you will be back to complete the discussion. It’s very important to communicate to your partner you will be back. I hope you will practice some of these skills and comment on the outcome. Remember, even the most well-skilled person can’t necessarily change their environment. But, you can change yourself. Do you have a Mindfulness skill you’ve found be effective? What was it? How do you practice?